NIA CHARLESTOWN NEVIS (November 22, 2018) — Hon. 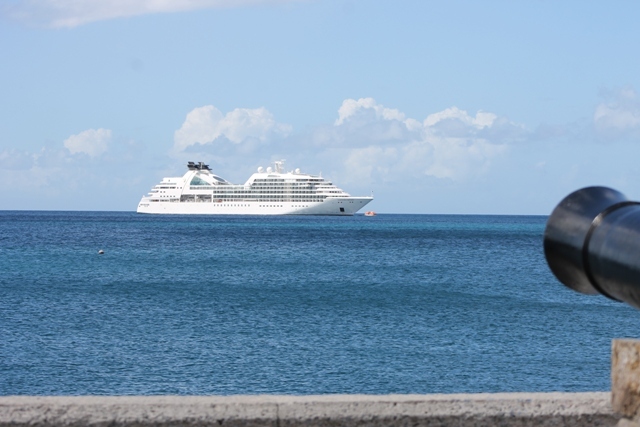 Mark Brantley, Premier of Nevis, says the number of cruise calls to Nevis has been steady in recent years and 2018 is expected to be no different. 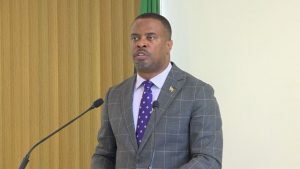 Mr. Brantley, who is also the Minister of Tourism in the Nevis Island Administration, expressed the view while presenting statistics from the Nevis Tourism Authority (NTA) on the expected number of cruise ships to call on Nevis for the 2019 season, at his monthly press conference in Cabinet Room at Pinney’s Estate on November 20, 2018. “Barring the spike of 2017 which was caused naturally by the hurricanes affecting others, we are really consistent in terms of the number of calls: 2015, 51; 2016 that fell slightly to 48; and 2018 it has rebounded to 62. “In 2017 was 100, significant, I wish we could maintain it at that level but we recognise why that happened,” he said. Mr. Brantley noted that for any given year, figures of scheduled and unscheduled calls and unscheduled cancellations are subject to fluctuate due to unforeseen circumstances making it virtually impossible to tell what the actual figures would be by the end of the season. He said he was sharing the statistics so that both the media and stakeholders have a better appreciation of what could be expected for the season.